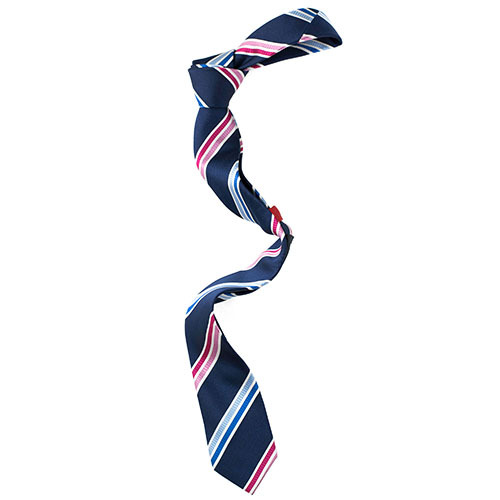 This tie is strict enough to make it into the bankers office yet with color and playfulness to still work at the Friday after work party. 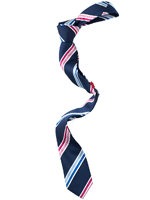 Though, maybe you should loosen it up just a bit for that 5 o'clock cocktail. 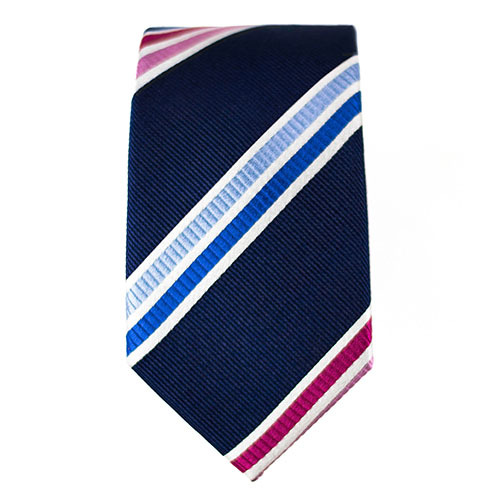 Dark blue with pink, blue and white stripes. 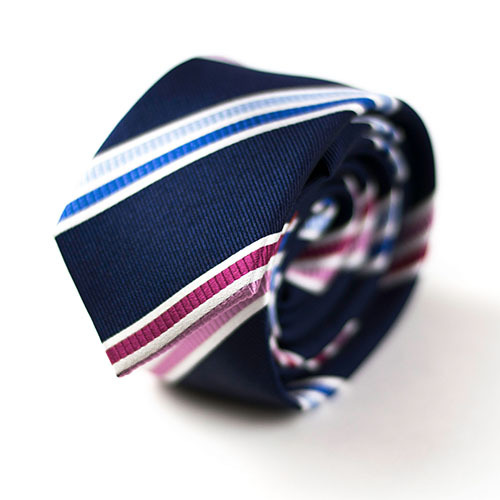 "...so is this a tie I would recommend? 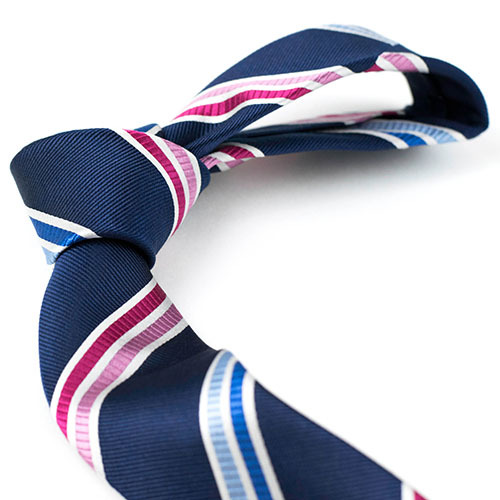 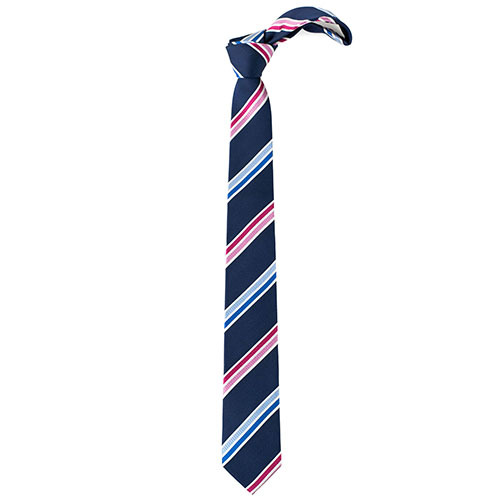 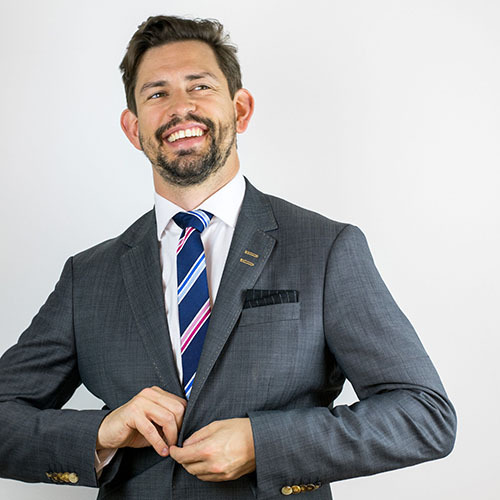 Without a doubt, yes, the Casual Monday tie is something I would definitely wear in a business environment and even in casual settings where a tie would be fitting"
A smooth silk tie in dark colors, but with bright strokes in blue and pink. 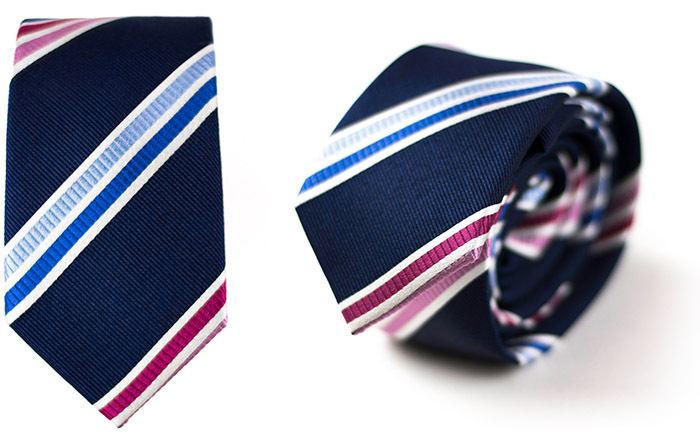 Stay youthful in the office, and classy at the party. 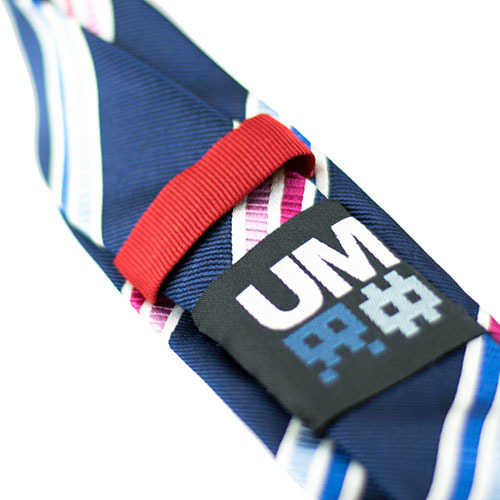 Can't go wrong with this tie.